Good. PLEASE NOTE, WE DO NOT SHIP TO DENMARK. Used Book. Shipped from UK in 4 to 14 days. Established seller since 2000. Please note we cannot offer an expedited shipping service from the UK. Fair. PLEASE NOTE, WE DO NOT SHIP TO DENMARK. Used Book. Shipped from UK in 4 to 14 days. Established seller since 2000. Please note we cannot offer an expedited shipping service from the UK. Very Good. 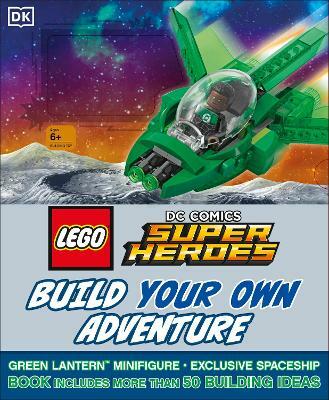 LEGO DC Comics Super Heroes Build Your Own Adventure (Lego Build Your Own Adventure) by Lipkowitz, Daniel, 2017-08-03. 80 p. LEGO Build Your Own Adventure . Intended for a juvenile audience.